[Poll] Are You Wishing for Red or White Nokia N8? Anyways, did you already pick the color for you? Yes & No. If yes then would you change your mind if there’s a Red or White one? If no, then what color most you prefer that would be added in future for Nokia N8? Anodizing the metals has many benefits that could bring. One that we already have is the aluminum alloys used in Nokia N8 which some of these are it gives resistance to corrosion, strengthen the metals giving more protection on our N8, being non-conductive and much more. Nonetheless, it is still a possible that we could get a white or silver Nokia N8 and much more on red, purple and or pink. Technically, I’m wishing for an N8 that can use categories to sync to desktop and web-based applications, create views and filter contacts, appointments, tasks, memos on the phone. Ah, but even the supposedly “advanced” Symbian^3 OS isn’t as smart as the Palm OS was, more than a dozen years ago. 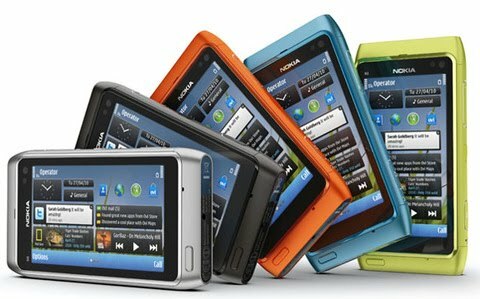 I’m sure Nokia N8 will not disappoint your with its multimedia features and especially its camera. Damian Dinning promised that to us. its all about the rainbow. in fact i think they should make with all the colours of the rainbow. it feels that long since they announced the n8 i’d be happy getting my hands on any of the colours.